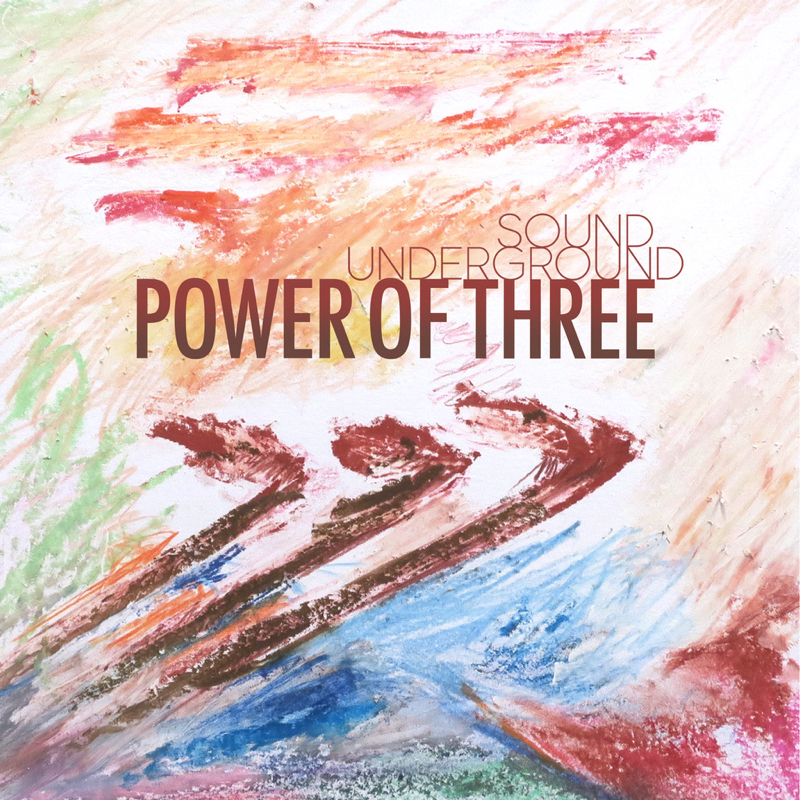 Entering their sixth year, chamber trio Sound Underground returns with their third release Power of Three. While their sophomore effort Quiet Spaces dwelled reflectively in the intimacy of their unconventional instrumentation – trumpet, alto saxophone and guitar – Power of Three strives to shatter the limitations of sonic possibility with these three acoustic instruments. Across 71 minutes of original music, the trio perseveres to turn new stones. 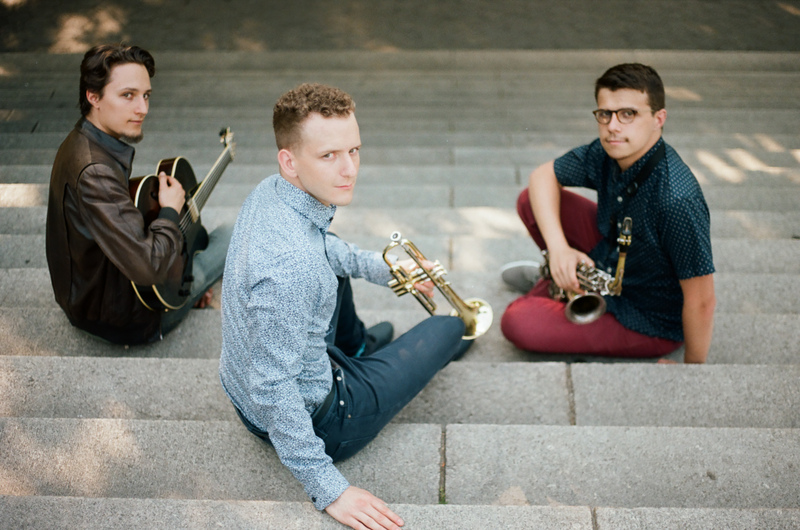 Sound Underground, made up of saxophonist David Leon, trumpeter Alec Aldred and guitarist Jonah Udall, hopes to reflect stories of life through each track on Power of Three. “The palate of sounds we hear on a daily basis, the things that often go by unnoticed, we try to include them all in the music in an effort to achieve a total experience of life through sound,” Leon explains. Power of Three begins with the stark jabs of its title track, that press forward with a relentlessly joyous momentum. It is the exemplary expression of their democratic approach to the trio, a kaleidoscope of three equal voices. “Demon Dance” is a fiery tribute to the trio’s love of Bulgarian folk music, which became a shared passion when they toured Bulgaria in 2014 and 2015. The melody settles into a simmering alto solo in a traditional kopanitsa 11/16. This paves the way for the genuine sweetness of Aldred’s “Feet in the Ground,” which humorously deconstructs a simple melody with lively horn interplay. 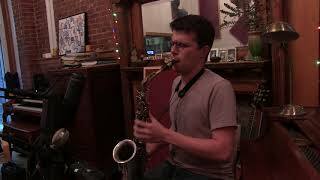 “The Potentialist” begins in open improvisation and finds its way to a tiptoeing melody and solos by the horn men. Aldred’s “Restful Rapture” experiments with the trading of winding melodies between all three instruments, which suddenly downshifts into a heavy, guitar-driven anthem. An infectious groove takes over on “Smile Back,” which finishes with a Baroque fugue. It leads into the album’s 11-minute saga “Slow to Anger, Rich in Kindness,” which journeys from angular pointillistic harmony through driving power chords into a Meshuggah-inspired bassline, and peaks with an encounter between Leon and the saxophone. He laughs, “Sometimes I like to sound like a blender, too.” And through it all, they can’t help but sound only like themselves. After that, the album’s single true ballad, Leon’s “By Myself,” speaks a few statements of its powerful melody. Power of Three concludes with “Lodore” – Udall’s tribute to “the unassuming power of water” inspired by the Green River in his fatherland of Utah. Leon channels this power into a final saxophone eruption. Based in New York City, Sound Underground is a compact trio with an expansive imagination. Their inquisitive approach is guided by words of wisdom from jazz legend Wayne Shorter: "You've got to go down in the basement and visit every note.” Hailed by JazzTimes as "an inimitable and profoundly special group sound,” saxophonist David Leon, trumpeter Alec Aldred and guitarist Jonah Udall draw on a broad array of influences – from Cool Jazz to 20th century chamber music, to Americana and Balkan folklore – to distill a unique and personal voice. 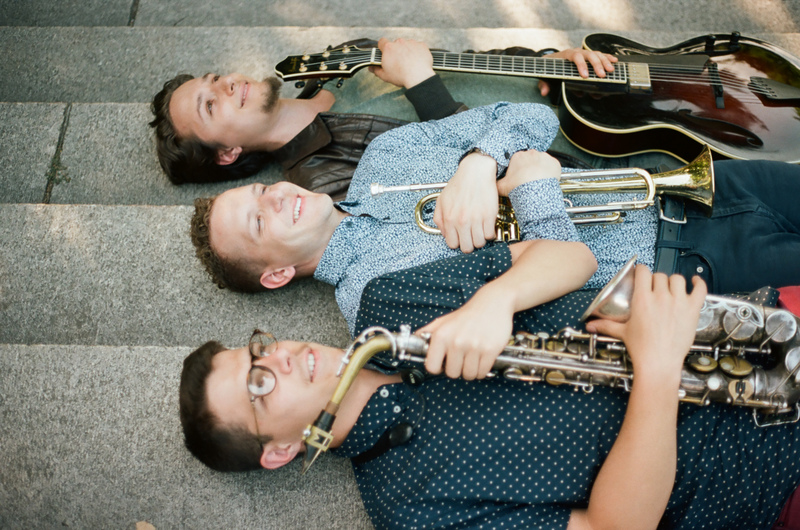 The trio’s music emanates the warmth of close friendships. They hail from far-flung corners of the United States - Udall is from Berkeley, California, Aldred from Waukesha, Wisconsin, and Leon from Miami, Florida - and formed in 2013 while living together in Miami, building the personal bonds that ground their strong musical connection. One can hear it in their performance, which is infused with the kind of trust that can only be built over years, on the bandstand and off. Sound Underground has toured across 13 states on all sides of the U.S. They have appeared on the Kennedy Center’s Millennium Stage, as well as at four major international jazz festivals in Mexico, Bulgaria and Serbia. Their sophomore album Quiet Spaces was selected for Best of Fall 2016 lists by Jazziz Magazine and Bandcamp.com.